In case you missed it, check out the terrific article that the Waco Tribune-Herald ran, both online and as the cover story of the “Neighbors” section of the print version on Sunday, November 20! The online story includes 13 photos (including the one above), so if you’d like to get a good look at the house click here or on the Image tab. 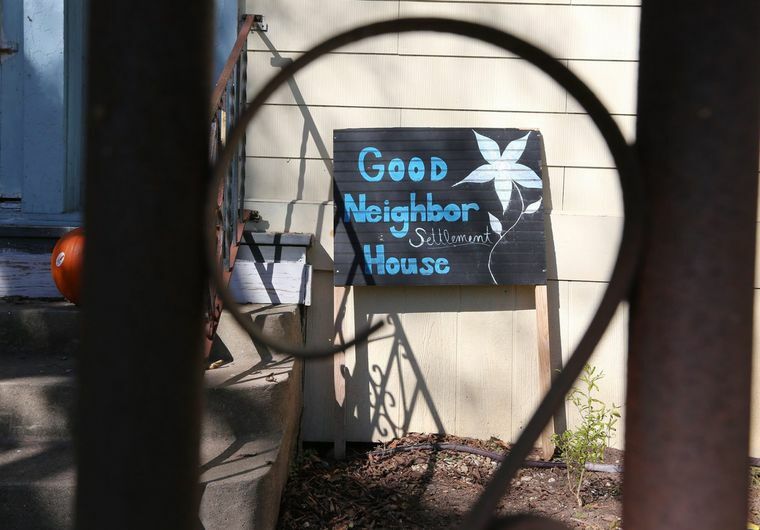 A North Waco home once green-tagged as unsafe for habitation has been renovated and opened as a neighborhood social hub aimed at breaking down prejudices, separation and fear. The Baylor University professor who owns the house is working toward those goals by inviting the neighborhood in to connect with each other and build relationships and a sense of community. Laine Scales bought the abandoned day care at 23rd Street and Colcord Avenue in 2011 and five years later believes the patience and hard work of many volunteers have paid off. Located in what the education professor with a social work background calls the most diverse and mixed area of Waco, operations at the small yellow home are based on a practice that started in the 19th and early 20th centuries. Volunteers will live in the house, dubbed the Good Neighbor Settlement House, and a cottage directly behind it and open the doors to community functions in exchange for donations rather than fixed fees. Good Neighbor House is open!